For other uses, see Emotion (disambiguation). "Emotional" redirects here. For other uses, see Emotional (disambiguation). Emotion, in everyday speech, is any relatively brief conscious experience characterized by intense mental activity and a high degree of pleasure or displeasure. Scientific discourse has drifted to other meanings and there is no consensus on a definition. Emotion is often intertwined with mood, temperament, personality, disposition, and motivation. In some theories, cognition is an important aspect of emotion. Those acting primarily on the emotions they are feeling may seem as if they are not thinking, but mental processes are still essential, particularly in the interpretation of events. For example, the realization of our believing that we are in a dangerous situation and the subsequent arousal of our body's nervous system (rapid heartbeat and breathing, sweating, muscle tension) is integral to the experience of our feeling afraid. Other theories, however, claim that emotion is separate from and can precede cognition. Emotions are complex. According to some theories, they are a state of feeling that results in physical and psychological changes that influence our behavior. The physiology of emotion is closely linked to arousal of the nervous system with various states and strengths of arousal relating, apparently, to particular emotions. Emotion is also linked to behavioral tendency. Extroverted people are more likely to be social and express their emotions, while introverted people are more likely to be more socially withdrawn and conceal their emotions. Emotion is often the driving force behind motivation, positive or negative. According to other theories, emotions are not causal forces but simply syndromes of components, which might include motivation, feeling, behavior, and physiological changes, but no one of these components is the emotion. Nor is the emotion an entity that causes these components. Emotions involve different components, such as subjective experience, cognitive processes, expressive behavior, psychophysiological changes, and instrumental behavior. At one time, academics attempted to identify the emotion with one of the components: William James with a subjective experience, behaviorists with instrumental behavior, psychophysiologists with physiological changes, and so on. More recently, emotion is said to consist of all the components. 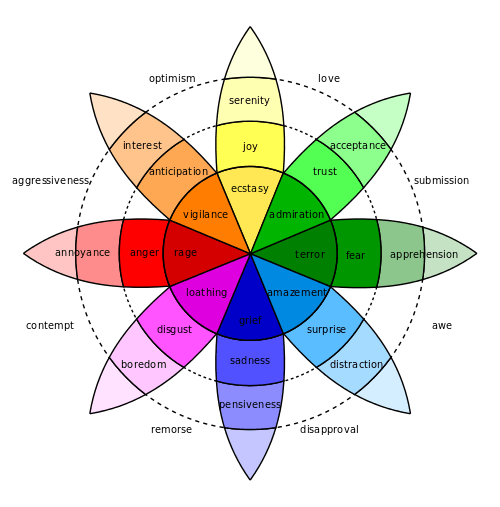 The different components of emotion are categorized somewhat differently depending on the academic discipline. In psychology and philosophy, emotion typically includes a subjective, conscious experience characterized primarily by psychophysiological expressions, biological reactions, and mental states. A similar multicomponential description of emotion is found in sociology. For example, Peggy Thoits described emotions as involving physiological components, cultural or emotional labels (anger, surprise, etc. ), expressive body actions, and the appraisal of situations and contexts. Research on emotion has increased significantly over the past two decades with many fields contributing including psychology, neuroscience, endocrinology, medicine, history, sociology, and computer science. The numerous theories that attempt to explain the origin, neurobiology, experience, and function of emotions have only fostered more intense research on this topic. Current areas of research in the concept of emotion include the development of materials that stimulate and elicit emotion. In addition PET scans and fMRI scans help study the affective processes in the brain. "Emotions can be defined as a positive or negative experience that is associated with a particular pattern of physiological activity." Emotions produce different physiological, behavioral and cognitive changes. The original role of emotions was to motivate adaptive behaviors that in the past would have contributed to the survival of humans. Emotions are responses to significant internal and external events. Emotions have been described by some theorists as discrete and consistent responses to internal or external events which have a particular significance for the organism. 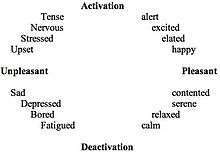 Emotions are brief in duration and consist of a coordinated set of responses, which may include verbal, physiological, behavioural, and neural mechanisms. Psychotherapist Michael C. Graham describes all emotions as existing on a continuum of intensity. Thus fear might range from mild concern to terror or shame might range from simple embarrassment to toxic shame. Emotions have also been described as biologically given and a result of evolution because they provided good solutions to ancient and recurring problems that faced our ancestors. Moods are feelings that tend to be less intense than emotions and that often lack a contextual stimulus. Feelings are best understood as a subjective representation of emotions, private to the individual experiencing them. Moods are diffuse affective states that generally last for much longer durations than emotions and are also usually less intense than emotions. Affect is an encompassing term, used to describe the topics of emotion, feelings, and moods together, even though it is commonly used interchangeably with emotion. In addition, relationships exist between emotions, such as having positive or negative influences, with direct opposites existing. These concepts are described in contrasting and categorization of emotions. Graham differentiates emotions as functional or dysfunctional and argues all functional emotions have benefits. In Scherer's components processing model of emotion, five crucial elements of emotion are said to exist. From the component processing perspective, emotion experience is said to require that all of these processes become coordinated and synchronized for a short period of time, driven by appraisal processes. Although the inclusion of cognitive appraisal as one of the elements is slightly controversial, since some theorists make the assumption that emotion and cognition are separate but interacting systems, the component processing model provides a sequence of events that effectively describes the coordination involved during an emotional episode. Cognitive appraisal: provides an evaluation of events and objects. Bodily symptoms: the physiological component of emotional experience. Action tendencies: a motivational component for the preparation and direction of motor responses. Expression: facial and vocal expression almost always accompanies an emotional state to communicate reaction and intention of actions. Feelings: the subjective experience of emotional state once it has occurred. A distinction can be made between emotional episodes and emotional dispositions. Emotional dispositions are also comparable to character traits, where someone may be said to be generally disposed to experience certain emotions. For example, an irritable person is generally disposed to feel irritation more easily or quickly than others do. Finally, some theorists place emotions within a more general category of "affective states" where affective states can also include emotion-related phenomena such as pleasure and pain, motivational states (for example, hunger or curiosity), moods, dispositions and traits. The classification of emotions has mainly been researched from two fundamental viewpoints. The first viewpoint is that emotions are discrete and fundamentally different constructs while the second viewpoint asserts that emotions can be characterized on a dimensional basis in groupings. For more than 40 years, Paul Ekman has supported the view that emotions are discrete, measurable, and physiologically distinct. Ekman's most influential work revolved around the finding that certain emotions appeared to be universally recognized, even in cultures that were preliterate and could not have learned associations for facial expressions through media. Another classic study found that when participants contorted their facial muscles into distinct facial expressions (for example, disgust), they reported subjective and physiological experiences that matched the distinct facial expressions. His research findings led him to classify six emotions as basic: anger, disgust, fear, happiness, sadness and surprise. 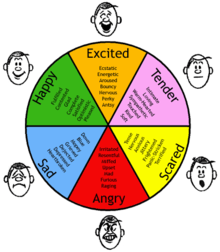 Robert Plutchik agreed with Ekman's biologically driven perspective but developed the "wheel of emotions", suggesting eight primary emotions grouped on a positive or negative basis: joy versus sadness; anger versus fear; trust versus disgust; and surprise versus anticipation. Some basic emotions can be modified to form complex emotions. The complex emotions could arise from cultural conditioning or association combined with the basic emotions. Alternatively, similar to the way primary colors combine, primary emotions could blend to form the full spectrum of human emotional experience. For example, interpersonal anger and disgust could blend to form contempt. Relationships exist between basic emotions, resulting in positive or negative influences. Through the use of multidimensional scaling, psychologists can map out similar emotional experiences, which allows a visual depiction of the "emotional distance" between experiences. A further step can be taken by looking at the map's dimensions of the emotional experiences. The emotional experiences are divided into two dimensions known as valence (how negative or positive the experience feels) and arousal (how energized or enervated the experience feels). These two dimensions can be depicted on a 2D coordinate map. This two-dimensional map was theorized to capture one important component of emotion called core affect. Core affect is not the only component to emotion, but gives the emotion its hedonic and felt energy. The idea that core affect is but one component of the emotion led to a theory called “psychological construction.” According to this theory, an emotional episode consists of a set of components, each of which is an ongoing process and none of which is necessary or sufficient for the emotion to be instantiated. The set of components is not fixed, either by human evolutionary history or by social norms and roles. Instead, the emotional episode is assembled at the moment of its occurrence to suit its specific circumstances. One implication is that all cases of, for example, fear are not identical but instead bear a family resemblance to one another. Theories about emotions stretch back to at least as far as the stoics of Ancient Greece and Ancient China. In China, excessive emotion was believed to cause damage to qi, which in turn, damages the vital organs. The four humours theory made popular by Hippocrates contributed to the study of emotion in the same way that it did for medicine. Western philosophy regarded emotion in varying ways. In stoic theories it was seen as a hindrance to reason and therefore a hindrance to virtue. Aristotle believed that emotions were an essential component of virtue. In the Aristotelian view all emotions (called passions) corresponded to appetites or capacities. During the Middle Ages, the Aristotelian view was adopted and further developed by scholasticism and Thomas Aquinas in particular. There are also theories of emotions in the works of philosophers such as René Descartes, Niccolò Machiavelli, Baruch Spinoza, Thomas Hobbes and David Hume. In the 19th century emotions were considered adaptive and were studied more frequently from an empiricist psychiatric perspective. 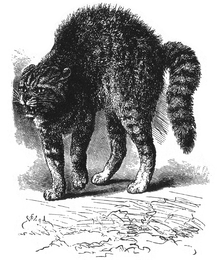 Illustration from Charles Darwin's The Expression of the Emotions in Man and Animals. Perspectives on emotions from evolutionary theory were initiated during the mid-late 19th century with Charles Darwin's 1872 book The Expression of the Emotions in Man and Animals. Darwin argued that emotions actually served a purpose for humans, in communication and also in aiding their survival. Darwin, therefore, argued that emotions evolved via natural selection and therefore have universal cross-cultural counterparts. Darwin also detailed the virtues of experiencing emotions and the parallel experiences that occur in animals. This led the way for animal research on emotions and the eventual determination of the neural underpinnings of emotion. More contemporary views along the evolutionary psychology spectrum posit that both basic emotions and social emotions evolved to motivate (social) behaviors that were adaptive in the ancestral environment. Current research suggests that emotion is an essential part of any human decision-making and planning, and the famous distinction made between reason and emotion is not as clear as it seems. Paul D. MacLean claims that emotion competes with even more instinctive responses, on one hand, and the more abstract reasoning, on the other hand. The increased potential in neuroimaging has also allowed investigation into evolutionarily ancient parts of the brain. Important neurological advances were derived from these perspectives in the 1990s by Joseph E. LeDoux and António Damásio. Research on social emotion also focuses on the physical displays of emotion including body language of animals and humans (see affect display). For example, spite seems to work against the individual but it can establish an individual's reputation as someone to be feared. Shame and pride can motivate behaviors that help one maintain one's standing in a community, and self-esteem is one's estimate of one's status. Stanley Schachter formulated his theory on the earlier work of a Spanish physician, Gregorio Marañón, who injected patients with epinephrine and subsequently asked them how they felt. Interestingly, Marañón found that most of these patients felt something but in the absence of an actual emotion-evoking stimulus, the patients were unable to interpret their physiological arousal as an experienced emotion. Schachter did agree that physiological reactions played a big role in emotions. He suggested that physiological reactions contributed to emotional experience by facilitating a focused cognitive appraisal of a given physiologically arousing event and that this appraisal was what defined the subjective emotional experience. Emotions were thus a result of two-stage process: general physiological arousal, and experience of emotion. For example, the physiological arousal, heart pounding, in a response to an evoking stimulus, the sight of a bear in the kitchen. The brain then quickly scans the area, to explain the pounding, and notices the bear. Consequently, the brain interprets the pounding heart as being the result of fearing the bear. With his student, Jerome Singer, Schachter demonstrated that subjects can have different emotional reactions despite being placed into the same physiological state with an injection of epinephrine. Subjects were observed to express either anger or amusement depending on whether another person in the situation (a confederate) displayed that emotion. Hence, the combination of the appraisal of the situation (cognitive) and the participants' reception of adrenaline or a placebo together determined the response. This experiment has been criticized in Jesse Prinz's (2004) Gut Reactions. With the two-factor theory now incorporating cognition, several theories began to argue that cognitive activity in the form of judgments, evaluations, or thoughts were entirely necessary for an emotion to occur. One of the main proponents of this view was Richard Lazarus who argued that emotions must have some cognitive intentionality. The cognitive activity involved in the interpretation of an emotional context may be conscious or unconscious and may or may not take the form of conceptual processing. Cognitive appraisal—The individual assesses the event cognitively, which cues the emotion. Physiological changes—The cognitive reaction starts biological changes such as increased heart rate or pituitary adrenal response. Action—The individual feels the emotion and chooses how to react. For example: Jenny sees a snake. Jenny cognitively assesses the snake in her presence. Cognition allows her to understand it as a danger. Her brain activates adrenaline gland which pumps adrenaline through her blood stream resulting in increased heartbeat. Jenny screams and runs away. Lazarus stressed that the quality and intensity of emotions are controlled through cognitive processes. These processes underline coping strategies that form the emotional reaction by altering the relationship between the person and the environment. There are some theories on emotions arguing that cognitive activity in the form of judgments, evaluations, or thoughts are necessary in order for an emotion to occur. A prominent philosophical exponent is Robert C. Solomon (for example, The Passions, Emotions and the Meaning of Life, 1993). Solomon claims that emotions are judgments. He has put forward a more nuanced view which response to what he has called the ‘standard objection’ to cognitivism, the idea that a judgment that something is fearsome can occur with or without emotion, so judgment cannot be identified with emotion. The theory proposed by Nico Frijda where appraisal leads to action tendencies is another example. It has also been suggested that emotions (affect heuristics, feelings and gut-feeling reactions) are often used as shortcuts to process information and influence behavior. The affect infusion model (AIM) is a theoretical model developed by Joseph Forgas in the early 1990s that attempts to explain how emotion and mood interact with one's ability to process information. Theories dealing with perception either use one or multiples perceptions in order to find an emotion (Goldie, 2007).A recent hybrid of the somatic and cognitive theories of emotion is the perceptual theory. This theory is neo-Jamesian in arguing that bodily responses are central to emotions, yet it emphasizes the meaningfulness of emotions or the idea that emotions are about something, as is recognized by cognitive theories. The novel claim of this theory is that conceptually-based cognition is unnecessary for such meaning. Rather the bodily changes themselves perceive the meaningful content of the emotion because of being causally triggered by certain situations. In this respect, emotions are held to be analogous to faculties such as vision or touch, which provide information about the relation between the subject and the world in various ways. A sophisticated defense of this view is found in philosopher Jesse Prinz's book Gut Reactions, and psychologist James Laird's book Feelings. This is a communication-based theory developed by Howard M. Weiss and Russell Cropanzano (1996), that looks at the causes, structures, and consequences of emotional experience (especially in work contexts). This theory suggests that emotions are influenced and caused by events which in turn influence attitudes and behaviors. This theoretical frame also emphasizes time in that human beings experience what they call emotion episodes— a "series of emotional states extended over time and organized around an underlying theme." This theory has been utilized by numerous researchers to better understand emotion from a communicative lens, and was reviewed further by Howard M. Weiss and Daniel J. Beal in their article, "Reflections on Affective Events Theory", published in Research on Emotion in Organizations in 2005. A situated perspective on emotion, developed by Paul E. Griffiths and Andrea Scarantino , emphasizes the importance of external factors in the development and communication of emotion, drawing upon the situationism approach in psychology. This theory is markedly different from both cognitivist and neo-Jamesian theories of emotion, both of which see emotion as a purely internal process, with the environment only acting as a stimulus to the emotion. In contrast, a situationist perspective on emotion views emotion as the product of an organism investigating its environment, and observing the responses of other organisms. Emotion stimulates the evolution of social relationships, acting as a signal to mediate the behavior of other organisms. In some contexts, the expression of emotion (both voluntary and involuntary) could be seen as strategic moves in the transactions between different organisms. The situated perspective on emotion states that conceptual thought is not an inherent part of emotion, since emotion is an action-oriented form of skillful engagement with the world. Griffiths and Scarantino suggested that this perspective on emotion could be helpful in understanding phobias, as well as the emotions of infants and animals. Emotions can motivate social interactions and relationships and therefore are directly related with basic physiology, particularly with the stress systems. This is important because emotions are related to the anti-stress complex, with an oxytocin-attachment system, which plays a major role in bonding. Emotional phenotype temperaments affect social connectedness and fitness in complex social systems (Kurt Kortschal 2013). These characteristics are shared with other species and taxa and are due to the effects of genes and their continuous transmission. Information that is encoded in the DNA sequences provides the blueprint for assembling proteins that make up our cells. Zygotes require genetic information from their parental germ cells, and at every speciation event, heritable traits that have enabled its ancestor to survive and reproduce successfully are passed down along with new traits that could be potentially beneficial to the offspring. In the five million years since the linages leading to modern humans and chimpanzees split, only about 1.2% of their genetic material has been modified. This suggests that everything that separates us from chimpanzees must be encoded in that very small amount of DNA, including our behaviors. Students that study animal behaviors have only identified intraspecific examples of gene-dependent behavioral phenotypes. In voles (Microtus spp.) minor genetic differences have been identified in a vasopressin receptor gene that corresponds to major species differences in social organization and the mating system (Hammock & Young 2005). Another potential example with behavioral differences is the FOCP2 gene, which is involved in neural circuitry handling speech and language (Vargha-Khadem et al. 2005). Its present form in humans differed from that of the chimpanzees by only a few mutations and has been present for about 200,000 years, coinciding with the beginning of modern humans (Enard et al. 2002). Speech, language, and social organization are all part of the basis for emotions. Based on discoveries made through neural mapping of the limbic system, the neurobiological explanation of human emotion is that emotion is a pleasant or unpleasant mental state organized in the limbic system of the mammalian brain. If distinguished from reactive responses of reptiles, emotions would then be mammalian elaborations of general vertebrate arousal patterns, in which neurochemicals (for example, dopamine, noradrenaline, and serotonin) step-up or step-down the brain's activity level, as visible in body movements, gestures and postures. Emotions can likely be mediated by pheromones (see fear). For example, the emotion of love is proposed to be the expression of paleocircuits of the mammalian brain (specifically, modules of the cingulate gyrus) which facilitate the care, feeding, and grooming of offspring. Paleocircuits are neural platforms for bodily expression configured before the advent of cortical circuits for speech. They consist of pre-configured pathways or networks of nerve cells in the forebrain, brain stem and spinal cord. The motor centers of reptiles react to sensory cues of vision, sound, touch, chemical, gravity, and motion with pre-set body movements and programmed postures. With the arrival of night-active mammals, smell replaced vision as the dominant sense, and a different way of responding arose from the olfactory sense, which is proposed to have developed into mammalian emotion and emotional memory. The mammalian brain invested heavily in olfaction to succeed at night as reptiles slept—one explanation for why olfactory lobes in mammalian brains are proportionally larger than in the reptiles. These odor pathways gradually formed the neural blueprint for what was later to become our limbic brain. Emotions are thought to be related to certain activities in brain areas that direct our attention, motivate our behavior, and determine the significance of what is going on around us. Pioneering work by Broca (1878), Papez (1937), and MacLean (1952) suggested that emotion is related to a group of structures in the center of the brain called the limbic system, which includes the hypothalamus, cingulate cortex, hippocampi, and other structures. More recent research has shown that some of these limbic structures are not as directly related to emotion as others are while some non-limbic structures have been found to be of greater emotional relevance. In 2011, Lövheim proposed a direct relation between specific combinations of the levels of the signal substances dopamine, noradrenaline and serotonin and eight basic emotions. A model was presented where the signal substances form the axes of a coordinate system, and the eight basic emotions according to Silvan Tomkins are placed in the eight corners. Anger is, according to the model, for example produced by the combination of low serotonin, high dopamine and high noradrenaline. There is ample evidence that the left prefrontal cortex is activated by stimuli that cause positive approach. If attractive stimuli can selectively activate a region of the brain, then logically the converse should hold, that selective activation of that region of the brain should cause a stimulus to be judged more positively. This was demonstrated for moderately attractive visual stimuli and replicated and extended to include negative stimuli. Two neurobiological models of emotion in the prefrontal cortex made opposing predictions. The Valence Model predicted that anger, a negative emotion, would activate the right prefrontal cortex. The Direction Model predicted that anger, an approach emotion, would activate the left prefrontal cortex. The second model was supported. This still left open the question of whether the opposite of approach in the prefrontal cortex is better described as moving away (Direction Model), as unmoving but with strength and resistance (Movement Model), or as unmoving with passive yielding (Action Tendency Model). Support for the Action Tendency Model (passivity related to right prefrontal activity) comes from research on shyness and research on behavioral inhibition. Research that tested the competing hypotheses generated by all four models also supported the Action Tendency Model. Another neurological approach distinguishes two classes of emotion: "classical" emotions such as love, anger and fear that are evoked by environmental stimuli, and "primordial" or "homeostatic emotions" – attention-demanding feelings evoked by body states, such as pain, hunger and fatigue, that motivate behavior (withdrawal, eating or resting in these examples) aimed at maintaining the body's internal milieu at its ideal state. Derek Denton defines the latter as "the subjective element of the instincts, which are the genetically programmed behavior patterns which contrive homeostasis. They include thirst, hunger for air, hunger for food, pain and hunger for specific minerals etc. There are two constituents of a primordial emotion--the specific sensation which when severe may be imperious, and the compelling intention for gratification by a consummatory act." Many different disciplines have produced work on the emotions. Human sciences study the role of emotions in mental processes, disorders, and neural mechanisms. In psychiatry, emotions are examined as part of the discipline's study and treatment of mental disorders in humans. Nursing studies emotions as part of its approach to the provision of holistic health care to humans. Psychology examines emotions from a scientific perspective by treating them as mental processes and behavior and they explore the underlying physiological and neurological processes. In neuroscience sub-fields such as social neuroscience and affective neuroscience, scientists study the neural mechanisms of emotion by combining neuroscience with the psychological study of personality, emotion, and mood. In linguistics, the expression of emotion may change to the meaning of sounds. In education, the role of emotions in relation to learning is examined. Social sciences often examine emotion for the role that it plays in human culture and social interactions. In sociology, emotions are examined for the role they play in human society, social patterns and interactions, and culture. In anthropology, the study of humanity, scholars use ethnography to undertake contextual analyses and cross-cultural comparisons of a range of human activities. Some anthropology studies examine the role of emotions in human activities. In the field of communication sciences, critical organizational scholars have examined the role of emotions in organizations, from the perspectives of managers, employees, and even customers. A focus on emotions in organizations can be credited to Arlie Russell Hochschild's concept of emotional labor. The University of Queensland hosts EmoNet, an e-mail distribution list representing a network of academics that facilitates scholarly discussion of all matters relating to the study of emotion in organizational settings. The list was established in January 1997 and has over 700 members from across the globe. In economics, the social science that studies the production, distribution, and consumption of goods and services, emotions are analyzed in some sub-fields of microeconomics, in order to assess the role of emotions on purchase decision-making and risk perception. In criminology, a social science approach to the study of crime, scholars often draw on behavioral sciences, sociology, and psychology; emotions are examined in criminology issues such as anomie theory and studies of "toughness," aggressive behavior, and hooliganism. In law, which underpins civil obedience, politics, economics and society, evidence about people's emotions is often raised in tort law claims for compensation and in criminal law prosecutions against alleged lawbreakers (as evidence of the defendant's state of mind during trials, sentencing, and parole hearings). In political science, emotions are examined in a number of sub-fields, such as the analysis of voter decision-making. In philosophy, emotions are studied in sub-fields such as ethics, the philosophy of art (for example, sensory–emotional values, and matters of taste and sentimentality), and the philosophy of music (see also Music and emotion). In history, scholars examine documents and other sources to interpret and analyze past activities; speculation on the emotional state of the authors of historical documents is one of the tools of interpretation. In literature and film-making, the expression of emotion is the cornerstone of genres such as drama, melodrama, and romance. In communication studies, scholars study the role that emotion plays in the dissemination of ideas and messages. Emotion is also studied in non-human animals in ethology, a branch of zoology which focuses on the scientific study of animal behavior. Ethology is a combination of laboratory and field science, with strong ties to ecology and evolution. Ethologists often study one type of behavior (for example, aggression) in a number of unrelated animals. The history of emotions has become an increasingly popular topic recently, with some scholars arguing that it is an essential category of analysis, not unlike class, race, or gender. Historians, like other social scientists, assume that emotions, feelings and their expressions are regulated in different ways by both different cultures and different historical times, and constructivist school of history claims even that some sentiments and meta-emotions, for example Schadenfreude, are learnt and not only regulated by culture. Historians of emotion trace and analyse the changing norms and rules of feeling, while examining emotional regimes, codes, and lexicons from social, cultural or political history perspectives. Others focus on the history of medicine, science or psychology. What somebody can and may feel (and show) in a given situation, towards certain people or things, depends on social norms and rules. It is thus historically variable and open to change. Several research centers have opened in the past few years in Germany, England, Spain, Sweden and Australia. Furthermore, research in historical trauma suggests that some traumatic emotions can be passed on from parents to offspring to second and even third generation, presented as examples of transgenerational trauma. A common way in which emotions are conceptualized in sociology is in terms of the multidimensional characteristics including cultural or emotional labels (for example, anger, pride, fear, happiness), physiological changes (for example, increased perspiration, changes in pulse rate), expressive facial and body movements (for example, smiling, frowning, baring teeth), and appraisals of situational cues. One comprehensive theory of emotional arousal in humans has been developed by Jonathan Turner (2007: 2009). Two of the key eliciting factors for the arousal of emotions within this theory are expectations states and sanctions. When people enter a situation or encounter with certain expectations for how the encounter should unfold, they will experience different emotions depending on the extent to which expectations for Self, other and situation are met or not met. People can also provide positive or negative sanctions directed at Self or other which also trigger different emotional experiences in individuals. Turner analyzed a wide range of emotion theories across different fields of research including sociology, psychology, evolutionary science, and neuroscience. Based on this analysis, he identified four emotions that all researchers consider being founded on human neurology including assertive-anger, aversion-fear, satisfaction-happiness, and disappointment-sadness. These four categories are called primary emotions and there is some agreement amongst researchers that these primary emotions become combined to produce more elaborate and complex emotional experiences. These more elaborate emotions are called first-order elaborations in Turner's theory and they include sentiments such as pride, triumph, and awe. Emotions can also be experienced at different levels of intensity so that feelings of concern are a low-intensity variation of the primary emotion aversion-fear whereas depression is a higher intensity variant. Attempts are frequently made to regulate emotion according to the conventions of the society and the situation based on many (sometimes conflicting) demands and expectations which originate from various entities. The emotion of anger is in many cultures discouraged in girls and women, while fear is discouraged in boys and men. Expectations attached to social roles, such as "acting as man" and not as a woman, and the accompanying "feeling rules" contribute to the differences in expression of certain emotions. Some cultures encourage or discourage happiness, sadness, or jealousy, and the free expression of the emotion of disgust is considered socially unacceptable in most cultures. Some social institutions are seen as based on certain emotion, such as love in the case of contemporary institution of marriage. In advertising, such as health campaigns and political messages, emotional appeals are commonly found. Recent examples include no-smoking health campaigns and political campaigns emphasizing the fear of terrorism. Sociological attention to emotion has varied over time. Emilé Durkheim (1915/1965) wrote about the collective effervescence or emotional energy that was experienced by members of totemic rituals in Australian aborigine society. He explained how the heightened state of emotional energy achieved during totemic rituals transported individuals above themselves giving them the sense that they were in the presence of a higher power, a force, that was embedded in the sacred objects that were worshipped. These feelings of exaltation, he argued, ultimately lead people to believe that there were forces that governed sacred objects. In the 1990s, sociologists focused on different aspects of specific emotions and how these emotions were socially relevant. For Cooley (1992), pride and shame were the most important emotions that drive people to take various social actions. During every encounter, he proposed that we monitor ourselves through the "looking glass" that the gestures and reactions of others provide. Depending on these reactions, we either experience pride or shame and this results in particular paths of action. Retzinger (1991) conducted studies of married couples who experienced cycles of rage and shame. Drawing predominantly on Goffman and Cooley's work, Scheff (1990) developed a micro sociological theory of the social bond. The formation or disruption of social bonds is dependent on the emotions that people experience during interactions. Subsequent to these developments, Randall Collins (2004) formulated his interaction ritual theory by drawing on Durkheim's work on totemic rituals that was extended by Goffman (1964/2013; 1967) into everyday focused encounters. Based on interaction ritual theory, we experience different levels or intensities of emotional energy during face-to-face interactions. Emotional energy is considered to be a feeling of confidence to take action and a boldness that one experiences when they are charged up from the collective effervescence generated during group gatherings that reach high levels of intensity. There is a growing body of research applying the sociology of emotion to understanding the learning experiences of students during classroom interactions with teachers and other students (for example, Milne & Otieno, 2007; Olitsky, 2007; Tobin, et al., 2013; Zembylas, 2002). These studies show that learning subjects like science can be understood in terms of classroom interaction rituals that generate emotional energy and collective states of emotional arousal like emotional climate. This list provides a general overview of different traditions in the sociology of emotion that sometimes conceptualise emotion in different ways and at other times in complementary ways. Many of these different approaches were synthesized by Turner (2007) in his sociological theory of human emotions in an attempt to produce one comprehensive sociological account that draws on developments from many of the above traditions. Emotion regulation refers to the cognitive and behavioral strategies people use to influence their own emotional experience. For example, a behavioral strategy in which one avoids a situation to avoid unwanted emotions (trying not to think about the situation, doing distracting activities, etc.). Depending on the particular school's general emphasis on either cognitive components of emotion, physical energy discharging, or on symbolic movement and facial expression components of emotion, different schools of psychotherapy approach the regulation of emotion differently. Cognitively oriented schools approach them via their cognitive components, such as rational emotive behavior therapy. Yet others approach emotions via symbolic movement and facial expression components (like in contemporary Gestalt therapy). In the 2000s, research in computer science, engineering, psychology and neuroscience has been aimed at developing devices that recognize human affect display and model emotions. In computer science, affective computing is a branch of the study and development of artificial intelligence that deals with the design of systems and devices that can recognize, interpret, and process human emotions. It is an interdisciplinary field spanning computer sciences, psychology, and cognitive science. While the origins of the field may be traced as far back as to early philosophical enquiries into emotion, the more modern branch of computer science originated with Rosalind Picard's 1995 paper on affective computing. Detecting emotional information begins with passive sensors which capture data about the user's physical state or behavior without interpreting the input. The data gathered is analogous to the cues humans use to perceive emotions in others. Another area within affective computing is the design of computational devices proposed to exhibit either innate emotional capabilities or that are capable of convincingly simulating emotions. Emotional speech processing recognizes the user's emotional state by analyzing speech patterns. The detection and processing of facial expression or body gestures is achieved through detectors and sensors. Silvan Tomkins (1911–1991) developed the Affect theory and Script theory. The Affect theory introduced the concept of basic emotions, and was based on the idea that the dominance of the emotion, which he called the affected system, was the motivating force in human life. Some of the most influential theorists on emotion from the 20th century have died in the last decade. They include Magda B. Arnold (1903–2002), an American psychologist who developed the appraisal theory of emotions; Richard Lazarus (1922–2002), an American psychologist who specialized in emotion and stress, especially in relation to cognition; Herbert A. Simon (1916–2001), who included emotions into decision making and artificial intelligence; Robert Plutchik (1928–2006), an American psychologist who developed a psychoevolutionary theory of emotion; Robert Zajonc (1923–2008) a Polish–American social psychologist who specialized in social and cognitive processes such as social facilitation; Robert C. Solomon (1942–2007), an American philosopher who contributed to the theories on the philosophy of emotions with books such as What Is An Emotion? : Classic and Contemporary Readings (Oxford, 2003); Peter Goldie (1946–2011), a British philosopher who specialized in ethics, aesthetics, emotion, mood and character; Nico Frijda (1927–2015), a Dutch psychologist who advanced the theory that human emotions serve to promote a tendency to undertake actions that are appropriate in the circumstances, detailed in his book The Emotions (1986). Lisa Feldman Barrett – Social philosopher and psychologist specializing in affective science and human emotion. John Cacioppo – from the University of Chicago, founding father with Gary Berntson of social neuroscience. Randall Collins - (born 1941) American sociologist from the University of Pennsylvania developed the interaction ritual theory which includes emotional entrainment model. António Damásio (born 1944) – Portuguese behavioral neurologist and neuroscientist who works in the US. Richard Davidson (born 1951) – American psychologist and neuroscientist; pioneer in affective neuroscience. Paul Ekman (born 1934) – Psychologist specializing in the study of emotions and their relation to facial expressions. Barbara Fredrickson – Social psychologist who specializes in emotions and positive psychology. Arlie Russell Hochschild (born 1940) – American sociologist whose central contribution was in forging a link between the subcutaneous flow of emotion in social life and the larger trends set loose by modern capitalism within organizations. Joseph E. LeDoux (born 1949) – American neuroscientist who studies the biological underpinnings of memory and emotion, especially the mechanisms of fear. George Mandler (born 1924) - American psychologist who wrote influential books on cognition and emotion. Jaak Panksepp (born 1943) – Estonian-born American psychologist, psychobiologist and neuroscientist; pioneer in affective neuroscience. Jesse Prinz – American philosopher who specializes in emotion, moral psychology, aesthetics and consciousness. James A. Russell (born 1947) – American psychologist who developed or co-developed the PAD theory of environmental impact, circumplex model of affect, prototype theory of emotion concepts, a critique of the hypothesis of universal recognition of emotion from facial expression, concept of core affect, developmental theory of differentiation of emotion concepts, and, more recently, the theory of the psychological construction of emotion. Klaus Scherer (born 1943) – Swiss psychologist and director of the Swiss Center for Affective Sciences in Geneva; he specializes in the psychology of emotion. Ronald de Sousa (born 1940) – English–Canadian philosopher who specializes in the philosophy of emotions, philosophy of mind and philosophy of biology. Jonathan H. Turner (born 1942) - American sociologist from the University of California, Riverside who is a general sociological theorist with specialty areas including the sociology of emotions, ethnic relations, social institutions, social stratification, and bio-sociology. Dominique Moïsi (born 1946) - Authored a book titled The Geopolitics of Emotion focusing on emotions related to globalization. ↑ Cabanac, Michel (2002). "What is emotion?" Behavioural Processes 60(2): 69-83. "[E]motion is any mental experience with high intensity and high hedonic content (pleasure/displeasure)." 1 2 Scirst=Daniel L. (2011). Psychology Second Edition. 41 Madison Avenue, New York, NY 10010: Worth Publishers. p. 310. ISBN 978-1-4292-3719-2. ↑ "Theories of Emotion". Psychology.about.com. 13 September 2013. Retrieved 11 November 2013. 1 2 3 4 Gaulin, Steven J. C. and Donald H. McBurney. Evolutionary Psychology. Prentice Hall. 2003. ISBN 978-0-13-111529-3, Chapter 6, p 121-142. ↑ Barrett, L.F. and Russell, J.A. The psychological construction of emotion. Guilford Press. 2015. ISBN 978-1462516971. 1 2 Thoits, P. A. (1989). "The sociology of emotions". Annual Review of Sociology. 15: 317–342. doi:10.1146/annurev.soc.15.1.317. ↑ Cacioppo, J.T & Gardner, W.L (1999). Emotion. "Annual Review of Psychology", 191. ↑ Schacter, D. L., Gilbert, D. T., Wegner, D. M., & Hood, B. M. (2011). Psychology (European ed.). Basingstoke: Palgrave Macmillan. ↑ Dixon, Thomas. From passions to emotions: the creation of a secular psychological category. Cambridge University Press. 2003. ISBN 978-0521026697. ↑ Merriam-Webster (2004). The Merriam-Webster dictionary (11th ed.). Springfield, MA: Author. 1 2 Fehr, B.; Russell, J.A. (1984). "Concept of Emotion Viewed from a Prototype Perspective". Journal of Experimental Psychology, General. 113 (3): 464–486. doi:10.1037/0096-3445.113.3.464. 1 2 Hume, D. Emotions and Moods. Organizational Behavior, 258-297. 1 2 Russell, J.A. (1991). "Culture and the Categorization of Emotion". Psychological Bulletin. 110 (3): 426–450. doi:10.1037/0033-2909.110.3.426. PMID 1758918. ↑ Wierzbicka, Anna. Emotions across languages and cultures: diversity and universals. Cambridge University Press. 1999. 1 2 Fox 2008, pp. 16–17. ↑ Graham, Michael C. (2014). Facts of Life: ten issues of contentment. Outskirts Press. p. 63. ISBN 978-1-4787-2259-5. ↑ Graham, Michael C. (2014). Facts of Life: Ten Issues of Contentment. Outskirts Press. ISBN 978-1-4787-2259-5. ↑ Ekman, Paul (1992). "An argument for basic emotions". Cognition & Emotion. 6 (3): 169–200. doi:10.1080/02699939208411068. ↑ Scherer, K. R. (2005). "What are emotions? And how can they be measured?". Social Science Information. 44 (4): 693–727. doi:10.1177/0539018405058216. ↑ Schwarz, N. H. (1990). Feelings as information: Informational and motivational functions of affective states. Handbook of motivation and cognition: Foundations of social behavior, 2, 527-561. 1 2 Handel, Steven. "Classification of Emotions". Retrieved 30 April 2012. ↑ Plutchik, R (2002). "Nature of emotions". American Scientist. 89 (4): 349. doi:10.1511/2001.28.739. ↑ Shah, R.; Lewis, M.B. (2003). "Locating the neutral expression in the facial-emotion space". Visual Cognition. 10: 540–566. ↑ Schacter, Daniel L. (2011). Psychology Ed. 2. 41 Madison Avenue New York, NY 10010: Worth Publishers. ISBN 1-4292-3719-8. ↑ Russell, J. A.; Barrett, L. F. (1999). "Core affect, prototypical emotional episodes, and other things called emotion: Dissecting the elephant". Journal of Personality and Social Psychology. 76 (5): 805–819. doi:10.1037/0022-3514.76.5.805. PMID 10353204. ↑ Russell, J. A. (2003). "Core affect and the psychological construction of emotion". Psychological Review. 110 (1): 145–172. doi:10.1037/0033-295X.110.1.145. PMID 12529060. ↑ Suchy, Yana (2011). Clinical neuropsychology of emotion. New York, NY: Guilford. ↑ Aristotle. Nicomachean Ethics. Book 2. Chapter 6. ↑ Aquinas, Thomas. Summa Theologica. Q.59, Art.2. ↑ See for instance Antonio Damasio (2005) Looking for Spinoza. ↑ Wright, Robert. Moral animal. ↑ Cacioppo, J. T. (1998). "Somatic responses to psychological stress: The reactivity hypothesis". Advances in psychological science. 2: 87–114. ↑ LeDoux J.E. (1996) The Emotional Brain. New York: Simon & Schuster. ↑ McIntosh, D. N.; Zajonc, R. B.; Vig, P. S.; Emerick, S. W. (1997). "Facial movement, breathing, temperature, and affect: Implications of the vascular theory of emotional efference". Cognition & Emotion. 11 (2): 171–195. doi:10.1080/026999397379980. 1 2 3 James, William (1884). "What Is an Emotion?". Mind. 9 (34): 188–205. doi:10.1093/mind/os-ix.34.188. ↑ Carlson, Neil (January 22, 2012). Physiology of Behavior. Emotion. 11th edition. Pearson. p. 388. ISBN 0205239390. ↑ Reisenzein, R (1995). "James and the physical basis of emotion: A comment on Ellsworth". Psychological Review. 102 (4): 757–761. doi:10.1037/0033-295X.102.4.757. ↑ Dalgleish, T (2004). "The emotional brain". Nature: Perspectives. 5: 582–89. ↑ Carlson, Neil (January 22, 2012). Physiology of Behavior. Emotion. 11th edition. Pearson. p. 389. ISBN 0205239390. 1 2 Cannon, Walter B. (1929). "Organization for Physiological Homeostasis". Physiological Review. 9 (3): 399–421. ↑ Cannon, Walter B. (1927). "The James-Lange theory of emotion: A critical examination and an alternative theory.". The American Journal of Psychology. 39: 106–124. doi:10.2307/1415404. ↑ see the Heuristic–Systematic Model, or HSM, (Chaiken, Liberman, & Eagly, 1989) under attitude change. Also see the index entry for "Emotion" in "Beyond Rationality: The Search for Wisdom in a Troubled Time" by Kenneth R. Hammond and in "Fooled by Randomness: The Hidden Role of Chance in Life and in the Markets" by Nassim Nicholas Taleb. ↑ Griffiths, Paul Edmund and Scarantino, Andrea (2005) Emotions in the wild: The situated perspective on emotion. 1 2 Givens, David B. (1998). "Emotion". Center for Nonverbal Studies. Retrieved 7 May 2014. ↑ Lövheim, H (2011). "A new three-dimensional model for emotions and monoamine neurotransmitters". Med Hypotheses. 78: 341–8. doi:10.1016/j.mehy.2011.11.016. PMID 22153577. ↑ Kringelbach, M.L. ; O'Doherty, J.O. ; Rolls, E.T. ; Andrews, C. (2003). "Activation of the human orbitofrontal cortex to a liquid food stimulus is correlated with its subjective pleasantness". Cerebral Cortex. 13: 1064–1071. doi:10.1093/cercor/13.10.1064. ↑ Drake, R.A. (1987). "Effects of gaze manipulation on aesthetic judgments: Hemisphere priming of affect". Acta Psychologica. 65: 91–99. doi:10.1016/0001-6918(87)90020-5. ↑ Merckelbach, H.; van Oppen, P. (1989). "Effects of gaze manipulation on subjective evaluation of neutral and phobia-relevant stimuli: A comment on Drake's (1987) 'Effects of gaze manipulation on aesthetic judgments: Hemisphere priming of affect.'". Acta Psychologica. 70: 147–151. doi:10.1016/0001-6918(89)90017-6. ↑ Harmon-Jones, E.; Vaughn-Scott, K.; Mohr, S.; Sigelman, J.; Harmon-Jones, C. (2004). "The effect of manipulated sympathy and anger on left and right frontal cortical activity". Emotion. 4: 95–101. doi:10.1037/1528-3542.4.1.95. ↑ Schmidt, L.A. (1999). "Frontal brain electrical activity in shyness and sociability". Psychological Science. 10: 316–320. doi:10.1111/1467-9280.00161. ↑ Garavan, H.; Ross, T.J.; Stein, E.A. (1999). "Right hemispheric dominance of inhibitory control: An event-related functional MRI study". Proceedings of the National Academy of Sciences. 96: 8301–8306. doi:10.1073/pnas.96.14.8301. ↑ Drake, R.A.; Myers, L.R. (2006). "Visual attention, emotion, and action tendency: Feeling active or passive". Cognition and Emotion. 20: 608–622. doi:10.1080/02699930500368105. ↑ Wacker, J.; Chavanon, M.-L.; Leue, A.; Stemmler, G. (2008). "Is running away right? The behavioral activation–behavioral inhibition model of anterior asymmetry". Emotion. 8: 232–249. doi:10.1037/1528-3542.8.2.232. ↑ Craig, A.D. (Bud) (2003). "Interoception: The sense of the physiological condition of the body" (PDF). Current Opinion in Neurobiology. 13 (4): 500–505. doi:10.1016/S0959-4388(03)00090-4. PMID 12965300. ↑ Denton DA, McKinley MJ, Farrell M, Egan GF (June 2009). "The role of primordial emotions in the evolutionary origin of consciousness". Conscious Cogn. 18 (2): 500–14. doi:10.1016/j.concog.2008.06.009. PMID 18701321. ↑ "EmoNet". Uq.edu.au. Archived from the original on 18 February 2013. Retrieved 11 November 2013. ↑ "History of Emotions | Max Planck Institute for Human Development". Mpib-berlin.mpg.de. Retrieved 11 November 2013. ↑ "Cultura Emocional E Identidad". unav.edu. Retrieved 11 November 2013. ↑ Turner, J. H. (2007). Human emotions: A sociological theory. London: Routledge. ↑ Turner, J. H. (2009). "The sociology of emotion: Basic Theoretical arguments". Emotion Review. 1 (4): 340–354. doi:10.1177/1754073909338305. ↑ Durkheim, E. (1915/1912). The elementary forms of the religious life, trans. J. W. Swain. New York: Free Press. ↑ Cooley, C. H. (1992). Human nature and the social order. New Brunswick: Transaction Publishers. ↑ Retzinger, S. M. (1991). Violent emotions: Shame and rage in marital quarrels. London: SAGE. ↑ Scheff, J. (1990). Microsociology: discourse, emotion and social structure. Chicago: University of Chicago Press. ↑ Collins, R. (2004). Interaction ritual chains. Princeton, NJ: Princeton University Press. ↑ Goffman, E. (1967). Interaction ritual. New York: Anchor Books. ↑ Goffman, E. (1964/2013). Encounters: Two studies in the sociology of interactions. Mansfiled Centre, CT: Martino Publishing. ↑ Milne, C.; Otieno, T. (2007). "Understanding engagement: Science demonstrations and emotional energy". Science Education. 91: 532–553. doi:10.1002/sce. ↑ Olitsky, S. (2007). Science learning, status and identity formation in an urban middle school. In W.-M. Roth & K. G. Tobin (Eds. ), Science, learning, identity: Sociocultural and cultural-historical perspectives. (pp. 41-62). Rotterdam, The Netherlands: Sense. ↑ Tobin, K.; Ritchie, S. M.; Oakley, J.; Mergard, V.; Hudson, P. (2013). "Relationships between emotional climate and the fluency of classroom interactions". Learning Environments Research. 16: 71–89. doi:10.1007/s10984-013-9125-y. ↑ Zembylas, M (2002). "Constructing genealogies of teachers' emotions in science teaching". Journal of Research in Science Teaching. 39: 79–103. doi:10.1002/tea.10010. ↑ Vargha-Khadem, F; Gadian, DG; Copp, A; Mishkin, M (2005). "FOXP2 and the neuroanatomy of speech and language". Nature Reviews Neuroscience. 6: 131–138. doi:10.1038/nrn1605. PMID 15685218. ↑ Enard, W; KhaitovichP, KloseJ; Zo; HeissigF, GiavaliscoP; Nieselt-StruweK, Much-more E; Varki, A; Ravid, R; Doxiadis, GM; Bontrop, RE; Pa (2002). "Intra- and interspecific variation in primate gene expression patterns". Science. 296: 340–343. doi:10.1126/science.1068996. ↑ Hammock, E.A.D; Young, L.J. (2005). "Microsatellite instability generates diversity in brain and sociobehavioral traits". Science. 308: 1630–1634. doi:10.1126/science.1111427. PMID 15947188. ↑ "On Emotion – an article from Manchester Gestalt Centre website". 123webpages.co.uk. Archived from the original on 12 May 2012. Retrieved 11 November 2013. ↑ Tao, Jianhua; Tieniu Tan (2005). "Affective Computing: A Review". Affective Computing and Intelligent Interaction; LNCS. 3784. Springer. pp. 981–995. doi:10.1007/11573548. ↑ Kleine-Cosack, Christian (October 2006). "Recognition and Simulation of Emotions" (PDF). Archived (PDF) from the original on 28 May 2008. Retrieved 13 May 2008. The introduction of emotion to computer science was done by Pickard (sic) who created the field of affective computing. ↑ Diamond, David (December 2003). "The Love Machine; Building computers that care.". Wired. Retrieved 13 May 2008. Rosalind Picard, a genial MIT professor, is the field's godmother; her 1997 book, Affective Computing, triggered an explosion of interest in the emotional side of computers and their users. ↑ Cherry, Kendra. "What Is the James-Lange Theory of Emotion?". Retrieved 30 April 2012. ↑ The Tomkins Institute. "Applied Studies in Motivation, Emotion, and Cognition". Archived from the original on 19 March 2012. Retrieved 30 April 2012. ↑ Reisenzein, R (2006). "Arnolds theory of emotion in historical perspective". Cognition & emotion. 20 (7): 920–951. doi:10.1080/02699930600616445. ↑ Plutchik, R (1982). "A psychoevolutionary theory of emotions". Social Science Information. 21: 529–553. doi:10.1177/053901882021004003. Dana Sugu & Amita Chaterjee "Flashback: Reshuffling Emotions", International Journal on Humanistic Ideology, Vol. 3 No. 1, Spring–Summer 2010. Freitas-Magalhães, A. (Ed.). (2009). Emotional Expression: The Brain and The Face. Porto: University Fernando Pessoa Press. ISBN 978-989-643-034-4. Freitas-Magalhães, A. (2007). The Psychology of Emotions: The Allure of Human Face. Oporto: University Fernando Pessoa Press. Ekman, P. (1999). "Basic Emotions". In: T. Dalgleish and M. Power (Eds.). Handbook of Cognition and Emotion. John Wiley & Sons Ltd, Sussex, UK:. Hogan, Patrick Colm. (2011). What Literature Teaches Us about Emotion Cambridge: Cambridge University Press. LeDoux, J.E. (1986). The neurobiology of emotion. Chap. 15 in J.E. LeDoux & W. Hirst (Eds.) Mind and Brain: dialogues in cognitive neuroscience. New York: Cambridge. Nussbaum, Martha C. (2001) Upheavals of Thought: The Intelligence of Emotions. Cambridge: Cambridge University Press. Plutchik, R. (1980). A general psychoevolutionary theory of emotion. In R. Plutchik & H. Kellerman (Eds. ), Emotion: Theory, research, and experience: Vol. 1. Theories of emotion (pp. 3–33). New York: Academic. Roberts, Robert. (2003). Emotions: An Essay in Aid of Moral Psychology. Cambridge: Cambridge University Press. Scherer, K (2005). "What are emotions and how can they be measured?" (PDF). Social Science Information. 44 (4): 695–729. doi:10.1177/0539018405058216. Archived from the original (PDF) on 25 February 2015. Solomon, R. (1993). The Passions: Emotions and the Meaning of Life. Indianapolis: Hackett Publishing. Zeki, S.; Romaya, J.P. (2008). "Neural correlates of hate". PLoS ONE. 3 (10): 3556. doi:10.1371/journal.pone.0003556. PMC 2569212 . PMID 18958169. Dror Green (2011). "Emotional Training, the art of creating a sense of a safe place in a changing world". Bulgaria: Books, Publishers and the Institute of Emotional Training. Goldie, Peter (2007). "Emotion". Philosophy Compass. 1 (6): 6. doi:10.1111/j.1747-9991.2007.00105.x.